I'll take a look at doae editor villager code tomorrow. I know there were some caveats to saving villager info. I'll post them. It's been a long time since I've looked at this stuff so it's hard for me to read even though I wrote it. You can make sure villager info is saved if you switch villagers in the same place. Ie...if you were working on villager 1, switch to villager 2 and it should save villager 1's info. Also in my initial look, I don't see how Y2 could have been saved with a larger value. Most bugs like this it has saved a smaller value by forgetting a bit(s). Adding to the value would be unusual. Of course I dont expect there is much plans to do further development but if youre interested I've thought up a bit of a wish list as I've been working on the ROM - either features for the editor or the game itself. 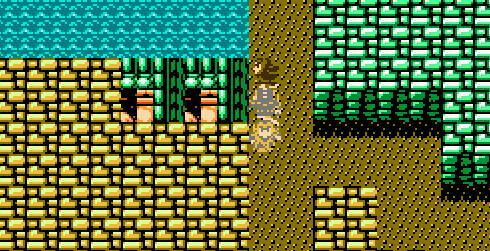 Boneduke wrote: Of course I dont expect there is much plans to do further development but if youre interested I've thought up a bit of a wish list as I've been working on the ROM - either features for the editor or the game itself. It doesn't hurt to list them out. Some of them may be low hanging fruit. Some may be nearly impossible. If there are some easy ones I can work on them next time I crack open the DoaEditor code (I don't even have DoaEditor editing set up on my current computer so I'd need to get in that mindset and get it all set up again). I know sonic has been wanting an expanded number of officers but that would be a huge project and would likely introduce a ton of new bugs. So unless I devote 2 weeks to 6502 assembly he11 I probably won't be doing that one. Ah yes I read some of the discussion about the complexity there. I certainly could have used a few more officers in my ROM but I wouldn’t say it was completely debilitating - maybe 10 or so wouldve been nice. Just had to reuse the same guy twice where I would have preferred to have a more powerful version. I wondered if the stock villagers (IDs D9 through EF) could be converted into officers? You'd want to have at least some retain their usual sprite, so you could still put them into cities and have them look like townspeople. Might be less problematic approach? Currently there is a global crit rate for weapons. Would be awesome to have weapons with varying crit rates. So some weapons might crit at 25% or more whereas the regular rate is 12.5%. Would be nice to have more weapons/armor. There is plenty for a standard kind of game, but when you take advantage of the Profiles feature, where generals can have a preferred weapon type - the current amount is fairly limiting. There is one instance in the game where you can "find" some text, the Gemsword house in Burnt Luoyang. It says "I found a keyhole". I think its triggered by finding Item FF. It would be awesome to allow 10 or 12 other instances of text strings that would appear when you searched the area. Would allow for more puzzles, secrets, etc. Personally I find it kind of tedious to repeatedly Defend, Defend etc against a small rebel army in order to rebuild TP before a boss fight. Seems kind of disingenuous. Would be nice if there was items to restore TP the same as there was for health. Would feel more “heroic”! Although this is a tough one because wouldnt want them to be overpowered when used in battle. I think the Defend dynamic when its used legitimately, to regain TP midfight. Just kind of lame how it can also be reused to refill one's TP before a boss battle. In the latest build, some tactics are duplicated (e.g. Li Jian, Li Jian 2), which allows to have a more powerful version of the same tactic (e.g. single target, all targets). There's a handful of additional tactics in the game which do not have this kind of duplication. Guard in particular, would be cool to have 2 versions of. Maybe Charge also. There seems to be issues if weapons/armor are given the same name. So for instance, can’t seem to have a Dragon sword, Dragon armor, and Dragon helm. When I tried this, after saving and reloading, I noticed there was only 1 instance of an item with that name, the other 2 had disappeared. I think I read the Tiu Lu tactic was removed due to uselessness? Was actually surprised by that, it seemed useless in the original DOAE since it could fail (why not just Retreat then?) but I had big plans to use it in my ROM as an auto-succeed retreat. I know its part of the DOAE charm but I personally loathe the random encounter rate, drives me insane lol. I wanted to have a guaranteed retreat tactic that was given to one or two generals, ones with high leadership or whatever. Was it impossible to make it auto-succeed? The only downside I saw was, allowing people to auto run away from the 2 part battles (Sun Quan, Sima Yi in the original) – but possible to do that anyway so, didn’t see a big problem. I thought about, it would be nice to have a tactic that "slowed" the enemy - e.g halved their AGI or whatever is the opposite effect of Haste tactic. Or a “Weaken” or “Dumb” tactic that halved the enemies STR or INT. Maybe halved is too extreme, but lowers it by some degree anyway. There doesn’t seem to be away in DOAEditor to mark regions for the 8 extra chapters. You can assign each general to the extra chapters but it seems to do the same to a region have to edit the hex directly. The 12 forced officer death events are pretty great for storyline stuff and so far 12 is sufficient. However it is also useful for more mundane clean-up tasks. Like say I have a Jia Xu in chapter 1 and a Jia Xu in chapter 5. I have to make Chapter 1 Jia Xu unencounterable because its kind of dumb storyline wise to run into him later on and see him very weak when he was just super powerful in some other location. Alternatively, can attach an event to kill that 1st Jia Xu to some battle at the end of Chapter 4, that way I can have him be encounterable in the early stages but later in the game that version of his gracefully disappears For this kind of purpose, having another 12 or so such events would be helpful. A way to flag which text entries aren’t assigned to a villager would be useful. Appreciate that would still show a lot of other text like, the text that an event triggers etc. But after doing a lot of text editing, the banks start to get full, and you have to manually go through the whole thing alphabetically and try to identify which ones you aren’t using. That’s kind of painstaking. The task would be a lot easier if could quickly distill the list down to at least those text entries which weren’t explicitly assigned to a villager. It would be great to be able to add sprites via DOAE same as Profile pics. But they seem more complicated so maybe that isn't so easy. Being able to edit Rebel forces etc in the editor would be really nice. A counterattack tactic - something that you cast on one of your generals and then if he is attacked, there is a chance he will immediately counterattack. I thought I read something in the wiki that said this was already implemented but it doesnt seem to the case in the latest patch. It would be nice to have a way to make all or some tactics calculate damage based on your soldier count. For instance, I have some Fire tactics, makes sense they don't depend on soldier counts. But then I have some physical tactics for non-tactician officers like Chop, Lunge, etc. Seems weird when an officer has 2 soldiers remaining and he suddenly hits you with a physical attack for 500 hehe. Along the more complicated tactics line, I also thought it would be cool if you could combine effects - for instance - a damaging attack that has a potential to stun or confuse the enemy. Or a damaging attack that has potential to grant you haste. Etc. I am sure will think of more things, but thats what I'd made a note of to date. Wow what a list. I've thought about many of these as well. But ya, most of these are not trivial. Since I finished IPS 1.3 I've been more focused on stability than new features. Ie...fixing bugs that cause the game to freeze or cause DoaEditor to crash. Stability is the most important thing. The bigger and crazier features I try to add, the more unstable the game becomes. Ie...more crashes and bugs to fix. If I ever get the itch to do some major DoaE project work, maybe these features could be the start of IPS 1.4 to keep whatever stability we have in 1.3 (there are still a couple of bugs out there that need to be fixed tho). Regarding villagers I guess in theory they could be used if necessary but then officers would have villager sprites and if you recruited a villager they would disappear from everywhere. Ie...if I recruited villager D9 then probably 100 D9 villagers would disappear from towns and villages all over the place. I've thought about this as well. For example the Hereditary Seal (maybe in place of the gemsword) would increase POL or "Art of War" book might increase LDR and INT. Good idea... Maybe an item to refill TP that can be used in the world map but not in battle. I think I read the Tiu Lu tactic was removed due to uselessness? At first I removed it to make room for better tactics like Duel, etc... But with the expanded tactics feature I brought it back...right? This is probably one of the easier items in your list but would probably require a new DoaEditor page for random enemies. Hmm it seems to incorporate soldier count but probably not enough. MiDKnighT wrote: Regarding villagers I guess in theory they could be used if necessary but then officers would have villager sprites and if you recruited a villager they would disappear from everywhere. Ie...if I recruited villager D9 then probably 100 D9 villagers would disappear from towns and villages all over the place. I'd read some of the earlier posts about the idea you mention too - definitely would help a lot. For instance in my ROM I have 5 Zhuge Liang's, 3 Liu Bei's, 4 Guan Yus... having just one who had fluctuating stats would free up a lot of slots. MiDKnighT wrote: At first I removed it to make room for better tactics like Duel, etc... But with the expanded tactics feature I brought it back...right? Oh I thought what happened was Tui Lu got scrapped altogether and two variants of Gui Huan got created - the regular one (sends you back to current castle) and then a Gullwing kind of variation? I'll double check them in game. MiDKnighT wrote: Hmm, you should be able to do this now. In the DoaEditor folder look in the tables directory and update the regiontable.tbl file. Can I change this one via DOAEditor, if a table gets updated? or this has to be done via hex? MiDKnighT wrote: Hmm it seems to incorporate soldier count but probably not enough. Oh right - now that you mention it I remember testing in the calculator in DOAEditor and seeing it does have an effect but it seems pretty insignificant. Then after you add some new chapters there, DoaEditor should be able to pick up the new chapters and put them on the list. General question about how the map graphics are constructed. 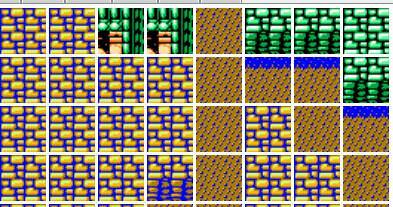 Each block in DOAEditor is shown to have an ID when you mouseover, like 1-1, 1-112, 2-10, 2-232 etc. It still contains "01 01 01 01" but somehow that represents 2-1, 2-1, 1-1, 1-1. I'm stumped as to how "01 01 01 01" can render 2 different graphics!